I grew up in Nebraska but have lived all over the United States. Old Barns reminded me of home when I was away. Lobster Shacks on the East Coast remind me of barns. 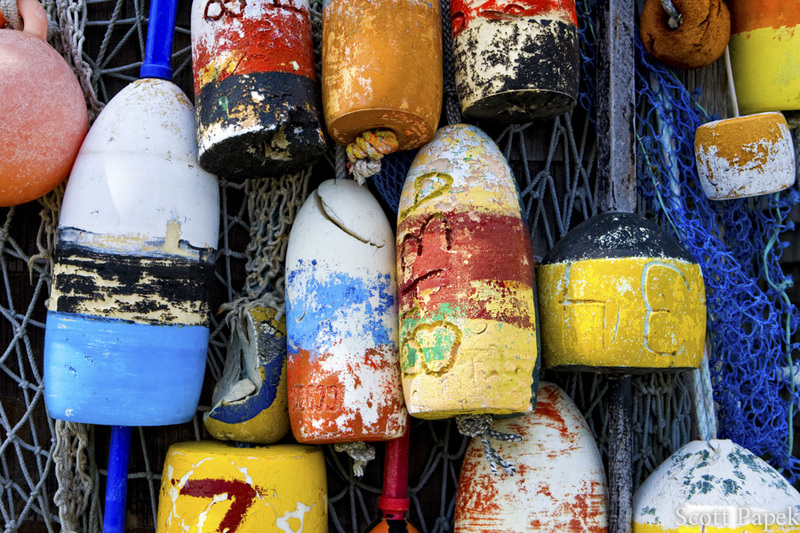 You can count on finding lobster buoys around any lobster shack. I love the color and the antique feel from each one. Photo © copyright by Scott Papek.